Dr. Melissa Dupree provides technical and strategic advice to clients in the healthcare and life sciences, higher education, advanced technology, and defense-related industries that seek opportunities to enhance funding through federal research and project grants, contracts, and other procurement vehicles. 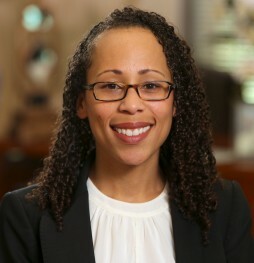 Adept in screening and selecting research and collaboration opportunities, Dr. Dupree is highly sought after for her extensive experience matching client capabilities with federal grant and procurement programs. Over the course of her career, Dr. Dupree has been instrumental in securing more than $100 million in research contracts and other funding. Prior to joining McAllister & Quinn, Dr. Dupree spent six years as a Vice President and Government Relations Consultant at The Conafay Group and Fabiani & Company. Before this, Dr. Dupree served as a contractor in the US Department of Homeland Security (DHS) Science & Technology Directorate in the Chemical and Biological Research & Development Branch. Her primary responsibility at DHS was to provide technical and program management assistance for bioassay development and validation programs designed to advance the identification, characterization, and standardization of biothreat detection systems. Dr. Dupree was also a Christine Mirzayan Science & Technology Policy Fellow at the National Academy of Engineering where she participated in the development of a digital clearing house of published evidence on educational practices in mathematics and engineering.